and generally make your life easier. Systain is OSI Global IT’s maintenance service designed to supplement or replace OEM support contracts at a fraction of the cost. Our customizable Service Level Agreements (SLAs) deliver world-class 24x7x365 TAC coverage with the advantages of Level 2/3 engineer troubleshooting, faster escalation, and next business day or 4-hour delivery hardware replacement from our 600 global forward stocking locations. By tailoring our services to meet their business objectives, Systain helps our clients reduce Opex costs, bridge OEM maintenance gaps, and mitigate the risks, disruption and unnecessary overhead of OEM upgrade policies. Contact us today to explore the benefits of a support strategy based on your specific end-to-end infrastructure coverage requirements. OSI Hardware has 30+ years of experience providing clients solutions that fit their needs, not ours, in order to build a reliable and affordable network. We take pride in our candid, personalized and responsive customer service. 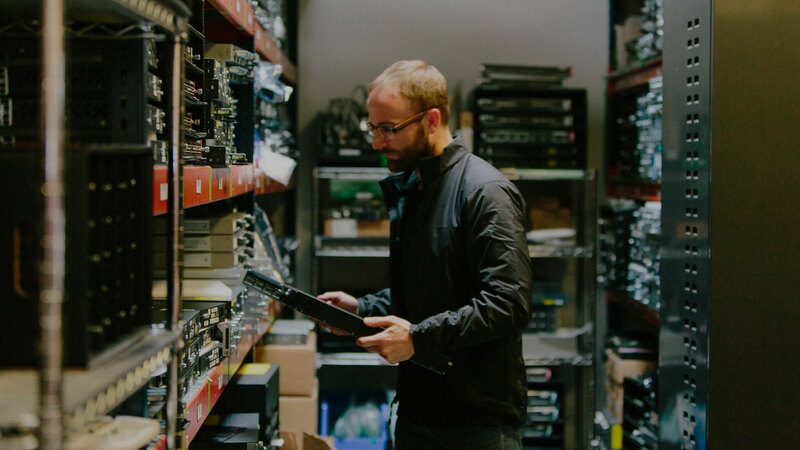 Pre-owned and new/surplus Cisco, Juniper and Brocade equipment from OSI Hardware comes in excellent, like-new condition, backed with a lifetime warranty and includes a personal representative to guide you through pre-sales and post-sales service. Your dedicated Account Representative will personally follow up on every order to ensure our hardware, packaging and services have met your expectations. Today, pre-owned networking equipment is no longer large ISP and data centers’ little secret. Over 30,000 companies, including government agencies, small to medium-sized enterprises, healthcare organizations and Fortune 500 companies rely on pre-owned networking equipment to build efficient, reliable networks at a fraction of the cost. OSI Hardware partners with worldwide manufacturers to provide high quality solutions which meet or exceed the specification of the product provided by the OEM. Because of these partnerships, we can provide solutions at a fraction of the OEM price. We offer numerous combinations of form factors, data rates, wavelengths, distances, connections, and applications to meet all datacom, telecom, server, and storage needs. Our goal is for each client to be completely satisfied with their experience. We are so confident in the quality and reliability of our optics, that we back all Optical Transceivers with a Lifetime Warranty.